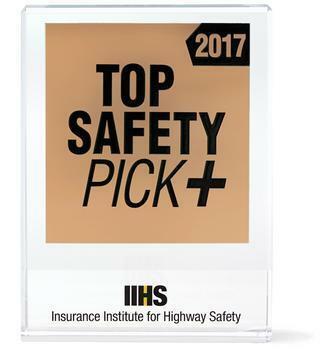 Three of six large cars recently tested by the Insurance Institute for Highway Safety -- the Lincoln Continental, the Mercedes-Benz E-Class, and the Toyota Avalon -- have qualified for TOP SAFETY PICK+, the Institute’s highest award. The other three -- the Tesla Model S, the Chevrolet Impala, and the Ford Taurus -- didn't get any award because they earned only an acceptable rating in the small overlap front test. “This group of large cars includes some with stellar ratings, but our small overlap front test remains a hurdle for some vehicles,” said David Zuby, IIHS chief research officer. 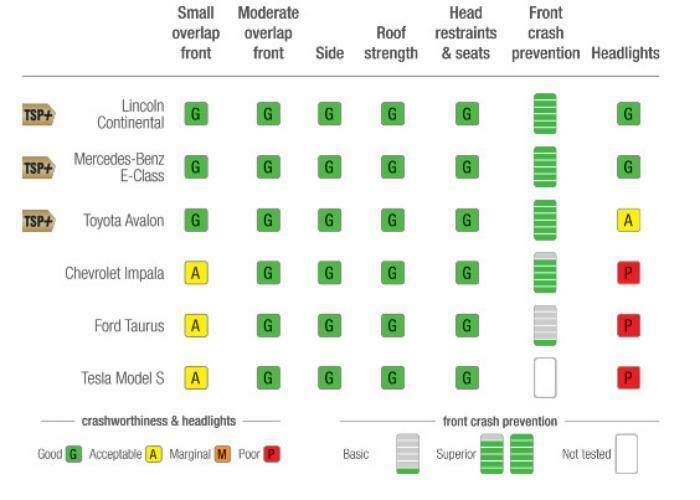 To qualify for either the TOP SAFETY PICK or TOP SAFETY PICK+ award, vehicles must have good ratings from IIHS in five crashworthiness tests: small overlap front, moderate overlap front, side, roof strength and head restraints. In addition, they must have an available front crash prevention system that earns a superior or advanced rating. To qualify for TOP SAFETY PICK+, vehicles also must come with good or acceptable headlights.